More convenient/Go Cloud: Control the operation via Mobile or any devices which connects to the printer via Wifi. Touch screen control, Offline printing and Resume print features. The model is firmly glued to the platform during printing, and the model can be easily removed after printing. This is my second 3d printer,and I must say, I've been very impressed. Assembly was very easy and bed leveling was flawless. I was printing in under an hour after opening the box. Do not confuse this machine with the QQ model. This QQ-S is a much superior model. 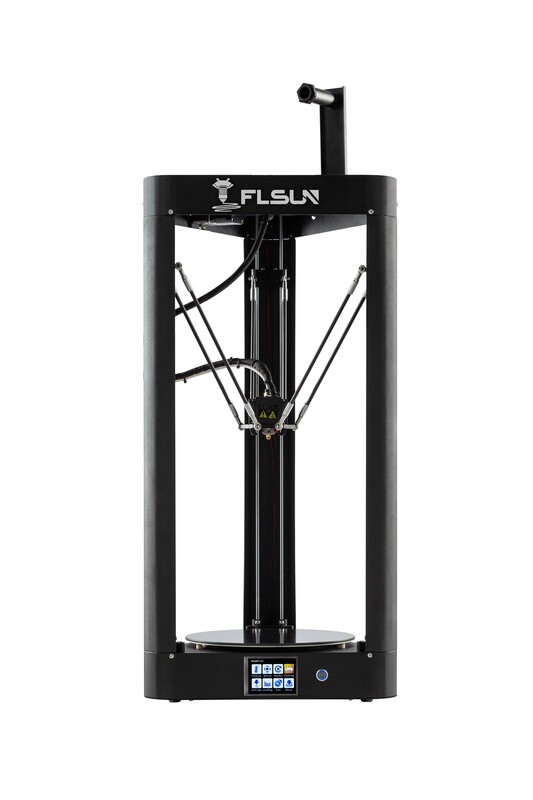 The 32 bit board, 24v bed, glass platen and titan extruder take this printer to a new level. Great so far. This is the second FLSUN printer I’ve purchased. They continue to upgrade their products as technology changes. This is a very good value. We use higher end printers at my work and this printer is as good if not better. It was easy to setup, it took about 20 mins to get set up to the point where you can do the automatic levelling. Levelling was easy, it uses a grounded plate and the print nozzle to to determine the correct print axis. This only has to be done once, and then the printer is ready to go. The printer has a nice coated frame, stepper dampers on it from the factory, and overall construction quality is excellent.I was printing within an hour.This new 'S' version has the 32bit motherboard and 24v PSU which improves the stepper response, as well as postioning accuracy. They ship with plenty of spare parts and screws to keep you going in an emergency. I am impressed with the quality and everything that was included for the price. Construction is very solid and set up took about 30 minutes. The auto level worked perfectly. First print with PLA was perfect. Black surface and usb supplied auto level are excellent upgrades to this machine. Since i bought QQ im very happy with it. Now five months it never been switched off. I didnt upgrade and its working out of the box.